The following seven books are all winners of the Ernest J. Gaines Award for Literary Excellence. This award honors Louisiana’s revered storyteller, Ernest J. Gaines, and serves to inspire and recognize rising African-American fiction writers of excellence at a national level. The book award, initiated by donors of the Baton Rouge Area Foundation has become nationally recognized in its role of enhancing visibility of emerging black fiction writers while also expanding the audience for this literature. The annual award of a $10,000 cash prize is to support the writer and help enable her/him to focus on her/his art of writing. Eligible entries are read by a panel of judges, themselves renowned contributors to the literary world. They are Thomas Beller, Anthony Grooms, Elizabeth Nunez, Francine Prose and Patricia Towers. Olympia Vernon won the first Gaines Award for A Killing in This Town, her third novel. A Killing in This Town, is a taut, poetic masterpiece that exhumes a horrific epoch from the annals of the American South. There is a menace in the woods of Bullock County, Mississippi, and not only for the black man destined to be lynched when a white boy comes of age. 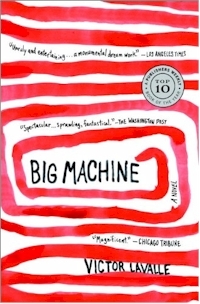 The white men who work at the Plant are in danger, too, but they refuse to heed Earl Thomas’s urgent message that the factory is slowly killing them; turning a deaf ear to the black pastor. Thomas knows he should try to deliver the message again, but he hears the blood of his murdered friend calling to him from the ground, and fears that he will be the next black man to be dragged to his death. Adam Pickens, a white boy now on the eve of his thirteenth birthday, isn’t sure he wants to wear the garb being readied for him by the Klan seamstress, or participate in the town’s ugly ritual. It is only when Gill Mender—a man haunted by past sins—returns that redemption seems possible. A transfixing and pivotal work of fiction, A Killing in This Town exposes the fragile hierarchy of a society poisoned by hatred, and shows the power of an individual to stand up to the demons of history and bring the cycle of violence to an end. 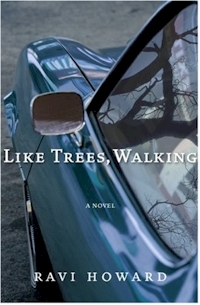 Like Trees, Walking examines an old tale in the New South. Based on the true story of the 1981 lynching of Michael Donald in Mobile, Alabama, the novel follows the lives of Paul and Roy Deacon, teenagers and childhood friends of Michael Donald, as they cope with the aftermath of his hanging. It is Paul Deacon who discovers the body, and the experience leaves him forever changed. The Deacons have operated a funeral home in the city for over 100 years. When the family is asked to conduct the services for Michael, Roy Deacon must examine whether a life in the family tradition is where he belongs. The story explores the vivid history and landscape of the Gulf Coast community and takes readers down the wooden–bricked streets of turn of the century Mobile with its Spanish architecture and its tree–lined avenues that host the annual Mardi Gras parades. Readers experience the complexities of the American South–the beauty of the landscape mixed with the ugliness of its racial history–as the characters cope with a tragic chapter in the unfolding story of the New South. The protagonists circle each other with steely determination: a grandson taunts his grandmother, determined to expose her secret past; for years, a sister tries to keep a menacing neighbor away from her brother; and in the local police station, an officer and prisoner try to break each other’s resolve. A “beautifully written”* (New York Times Book Review) novel of redemption by a prize-winning international literary star. African American women protagonists lose and find love, confront sanity and craziness, and strive to make sense of their lives in North Carolina. A Jehovah’s Witness girl goes door-to-door with an expert field-service partner from up north. At a call center, operator Sheila fields a caller’s uncomfortable questions under a ruthless supervisor’s eye. Forty-something Aunt Ginny surprises the family by finding a husband, but soon she gives them more to talk about. Attica Locke’s breathtaking debut novel, Black Water Rising, won resounding acclaim from major publications coast-to-coast and from respected crime fiction masters like James Ellroy and George Pelecanos, earning this exciting new author comparisons to Dennis Lehane, Scott Turow, and Walter Mosley. 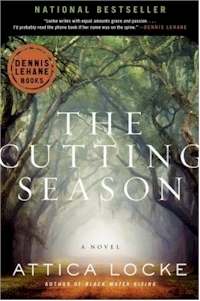 Locke returns with The Cutting Season, a second novel easily as gripping and powerful as her first—a heart-pounding thriller that interweaves two murder mysteries, one on Belle Vie, a historic landmark in the middle of Lousiana’s Sugar Cane country, and one involving a slave gone missing more than one hundred years earlier. Black Water Rising was nominated for a Los Angeles Times Book Prize, an Edgar® Award, and an NAACP Image Award, and was short-listed for the Orange Prize in the U.K.
Submission are being accepted until October 1st, 2014, and registration is free.